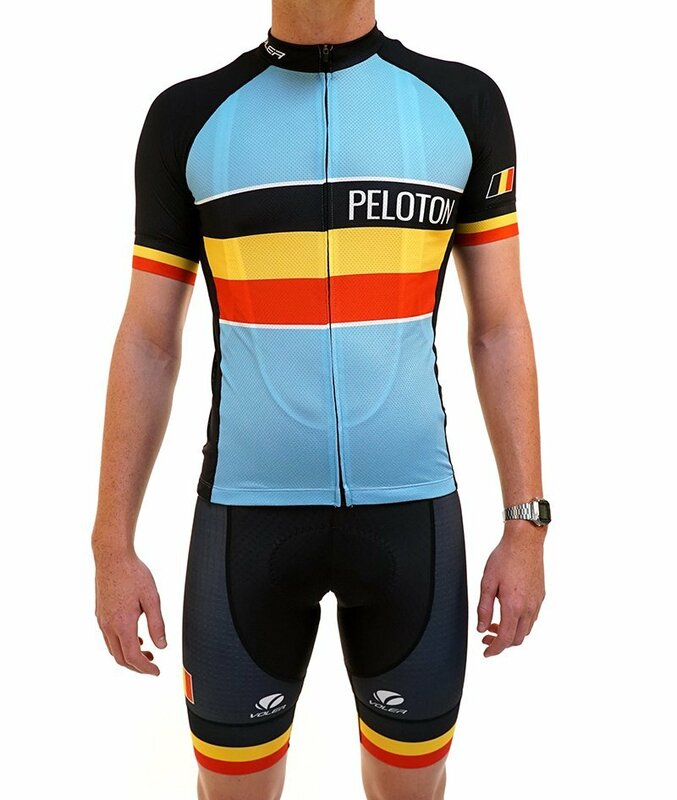 This year we changed up our Belgian kit a bit and went for the retro look. Our inspiration also came from soccer (futbol) with the addition of light blue that can be found on some of the Belgian national soccer team kits. The Voler FS-Pro jersey fits true to size, but just in case you're worried about fit, please refer to the VOLER sizing chart. Please note, this is a "race cut" fit.